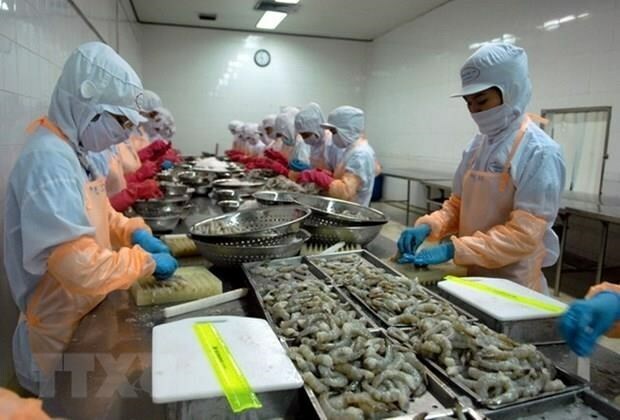 Hanoi (VNA) – Vietnam’s export-import value topped 480 billion USD in 2018, up 11.1 percent year-on-year, said deputy head of the Ministry of Industry and Trade (MoIT)’s Export-Import Agency Tran Thanh Hai. Hai, who is also Vice Chairman of the Editorial Board of the Vietnam Export-Import Report, made the statement during a ceremony recently held in Hanoi to announce the 2018 report. Of the figure, export value hit 243.5 billion USD, up 13.2 percent, surpassing the target set by the National Assembly and Government, bringing the trade surplus up to nearly 6.8 billion USD. The maintenance of high export growth and a trade surplus amid complicated developments in the region and the world as well as increasing protectionism has contributed to improving foreign exchange reserve and stabilising other macro-economic indexes, proving the substantial efforts of the Government and businesses, the report said. According to experts, the report enables users to review and forecast the efficiency of foreign trade activities. State management agencies have said the annual publication has met requirements in the context of Vietnam’s global integration.